Silver Scrolls prefers a humus rich soil but will tolerate poor soils as well. 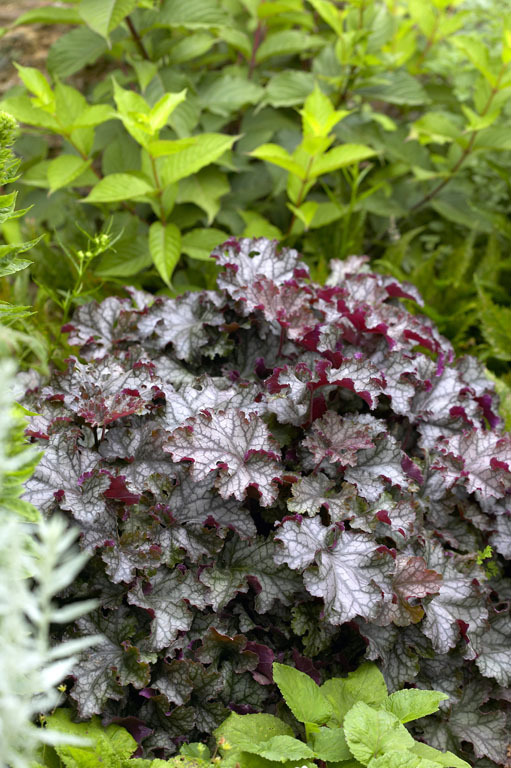 A position in full sun is fine, but protection from the hot afternoon sun ensures continuity of foliage colour, which is what this purple and silver leaved plant is prized for. Evergreen in the warmer portion of its range, it provides intereting colourful clumps well suited for a driveway border or your favourite container location. One No 1 plant/pkg.